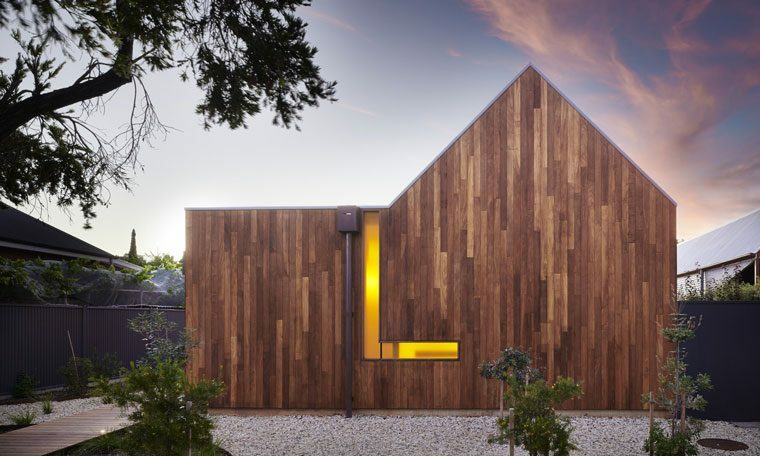 All the state and territory winners of the Australian Institute of Architects’ annual awards have been announced, so we’ve rounded up our picks of the most sustainable, interesting and eye-catching projects ahead of the national awards in November. 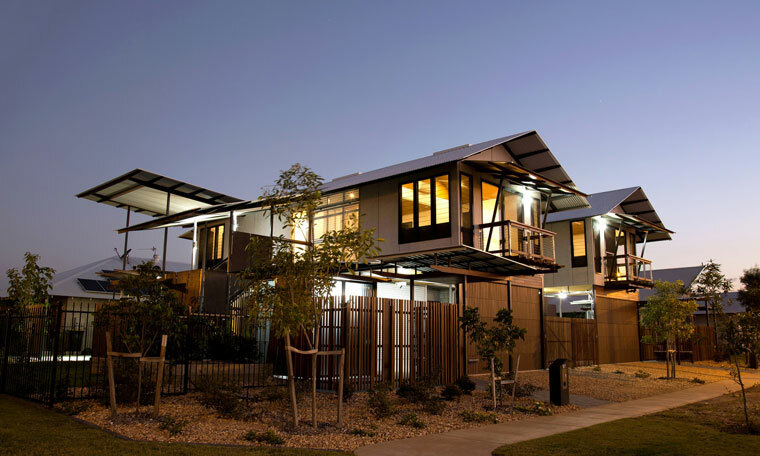 In NSW the theme was multi-residential architecture, with both quality and quantity on display. 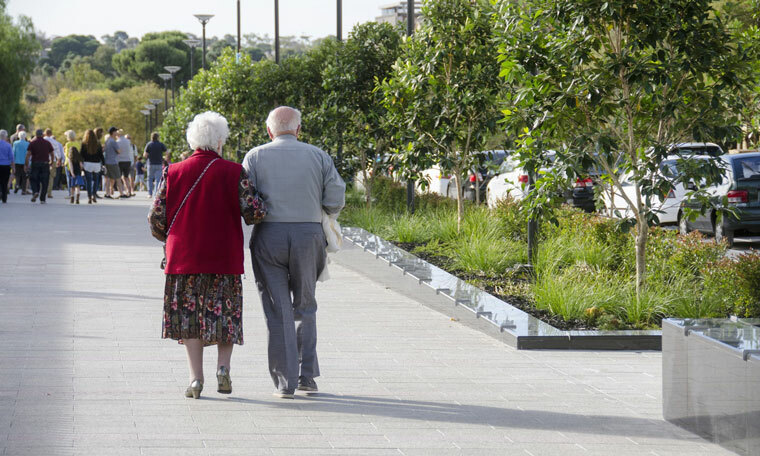 “Affordability and diversity of housing is an important community issue, and while we need to have bigger cities to accommodate population growth, the challenge is to make better cities with increased open space and amenity and more reliable public transport and infrastructure must balance this greater density,” NSW chapter president Andrew Nimmo said. 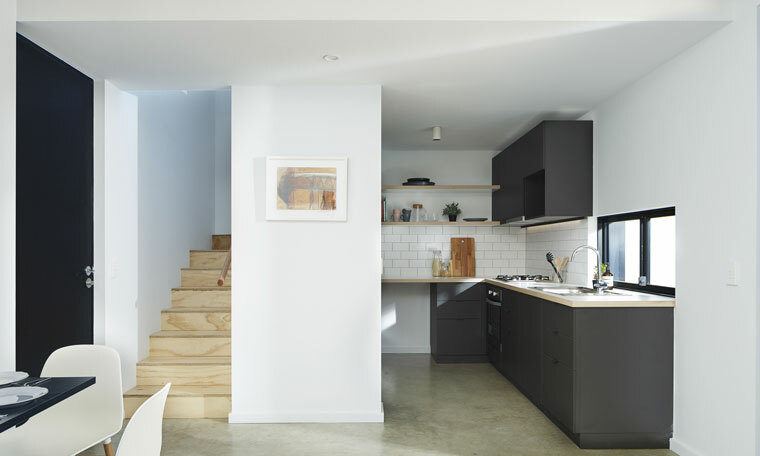 The Milo Dunphy Award for Sustainable Architecture went to 88 Angel St by Steele Associates Architects, which also won an award for residential architecture – multiple housing. “88 Angel Place is a remarkable project where architect and developer have designed and built a multi-residential project on a small inner-city site, with an impressive array of sustainable design initiatives,” the jury said. Native fauna in gardens and on the roof is another key features. The major Sulman Medal for Public Architecture went to Orange Regional Museum by Crone Architects. “This bold, large-scale intervention re-organises a whole city block through the application of a combined landscape, architectural and urban solution,” the jury said. Central Park was another big winner, with Tzannes, Cox Richardson and Foster + Partners taking out the The Lloyd Rees Award for Urban Design. The Kensington Street Precinct (part of Central Park) by Tonkin Zulaikha Greer Architects also won an urban design award. “It is impossible to overlook the ambition, scale or impact of Central Park on urban design in Sydney,” the jury said. “The transformation of the former Carlton United Brewery site today stands as an exemplar of precinct renewal. On Kensington Street, the jury said heritage had not only been preserved and recomposed, but embraced enthusiastically. The theme for Victorian winners was places for people, including healthy, liveable spaces. 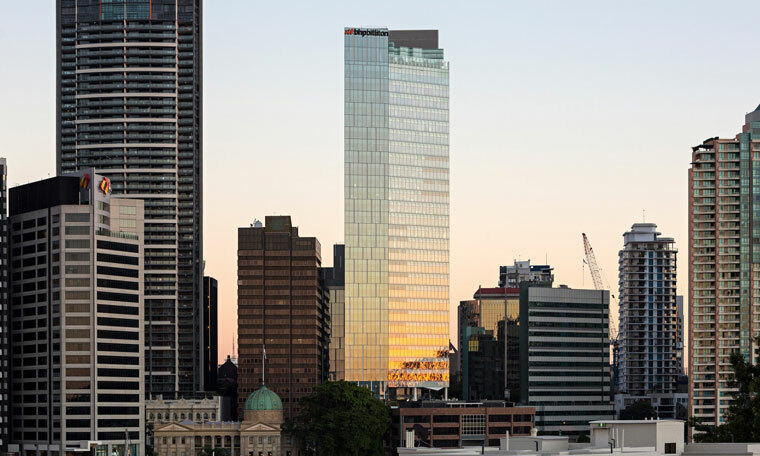 “Living and working in well-designed buildings influences the way we think and feel; it inspires and uplifts us, promotes wellbeing and health and can bring us together in new ways,” Victorian chapter president Vanessa Bird said. Winning the Allan And Beth Coldicutt Award for Sustainable Architecture was South East Water by BVN. 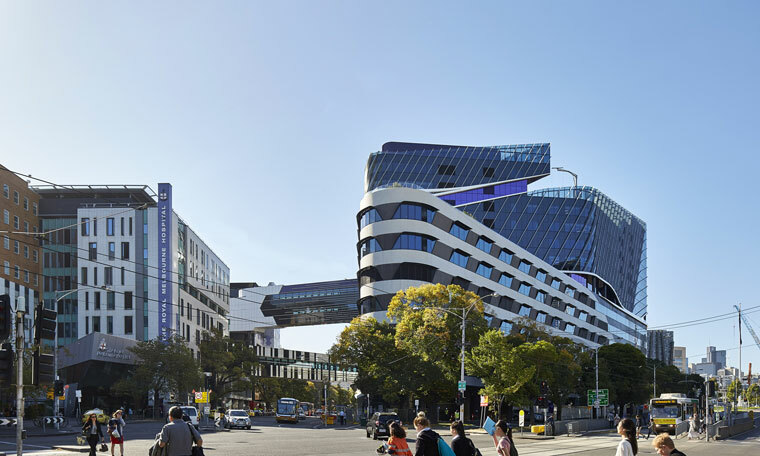 Winner of both the Victorian Medal and the William Wardell Award for Public Architecture was the Victorian Comprehensive Cancer Centre by sthDI+MCR (Silver Thomas Hanley, DesignInc and McBride Charles Ryan). 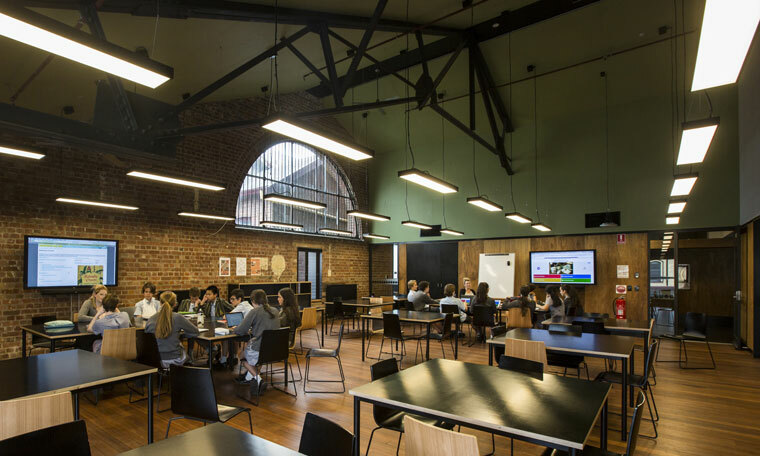 Albert Park College Environmental Arts Hub by Six Degrees Architects took out the Henry Bastow Award for Educational Architecture and the John George Knight Award for Heritage Architecture. 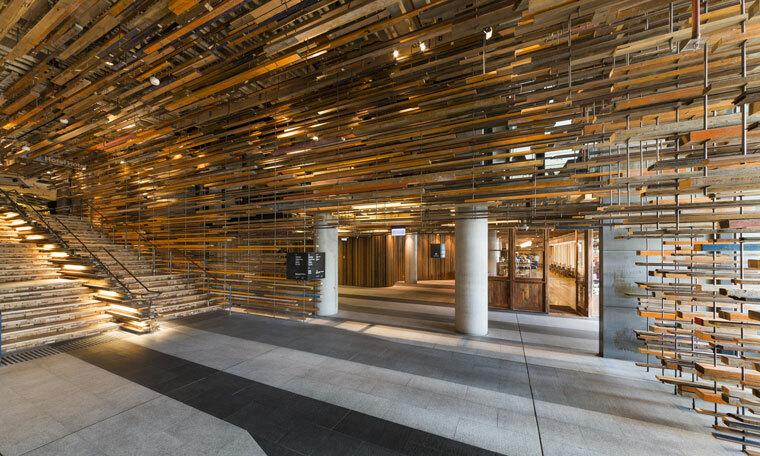 “This place imparts a sense of warmth and community engagement from the moment of arrival, symbolised by the blazing fire in the reception space,” the jury said. For Tasmania it was all about emerging architects and innovation. 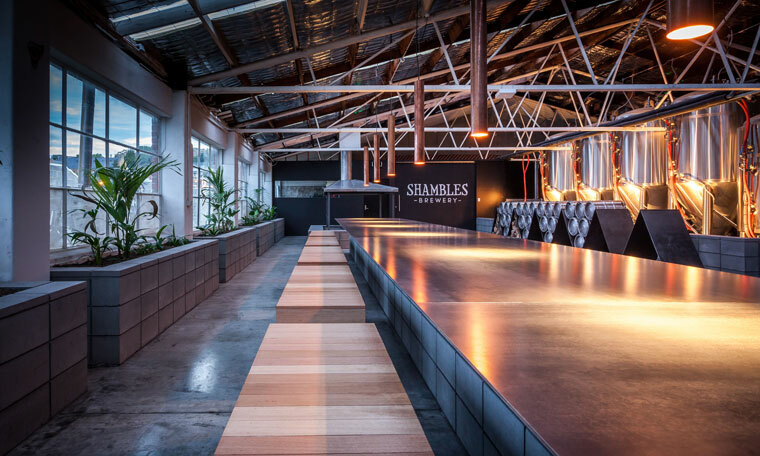 Practice Room11 was a big winner, taking out the The Barry McNeill Award for Sustainable Architecture for the Brambles Brewery, which also won an award for commercial architecture. “This modest project with high ambitions is a perfect example of ‘long life, loose fit’, with the sustainability value implied in continuity,” the jury said. 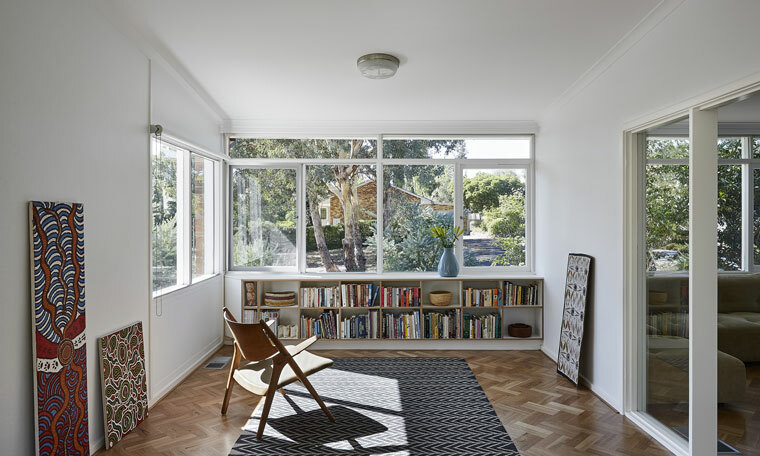 The practice’s D’Entrecasteaux House and Nelson House were also awarded for residential architecture, while director Thomas Bailey won the 2017 Emerging Architect Prize. 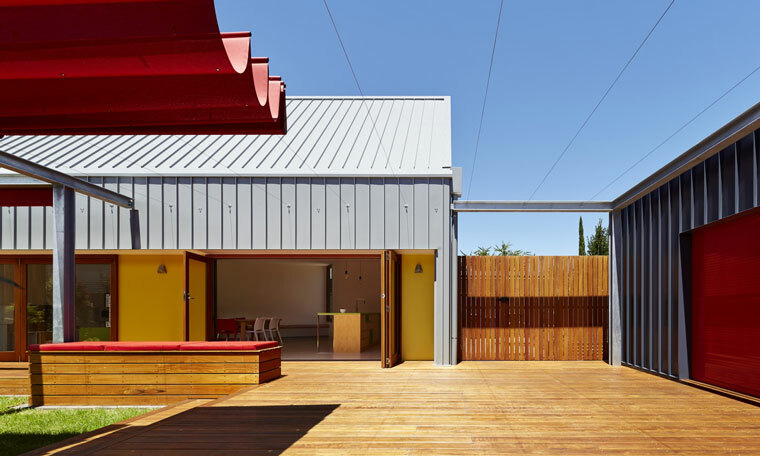 Core Collective Architects took home three awards for their Sunnybanks House, including the Colorbond Award for Steel Architecture and awards for new houses and sustainable architecture. The ACT saw projects of all sizes awarded, and another place where places for people was a key theme. 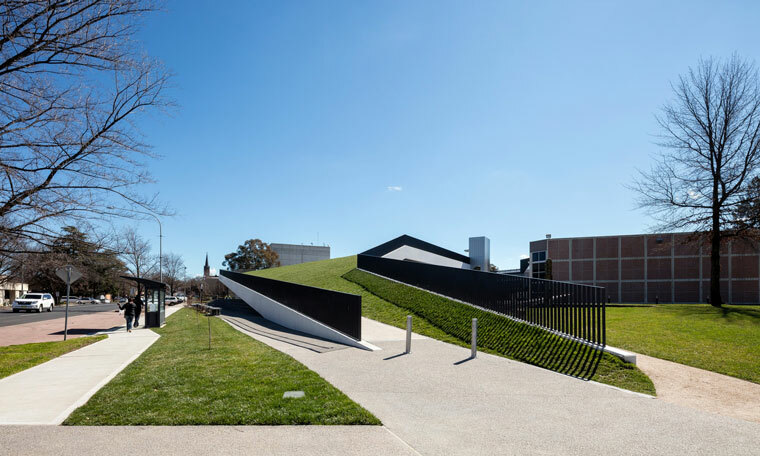 The Canberra Medallion went to Constitution Avenue by NCA, JILA, Hill Thalis, SMEC and AECOM, which also received the Sir John Overall Award for Urban Design. 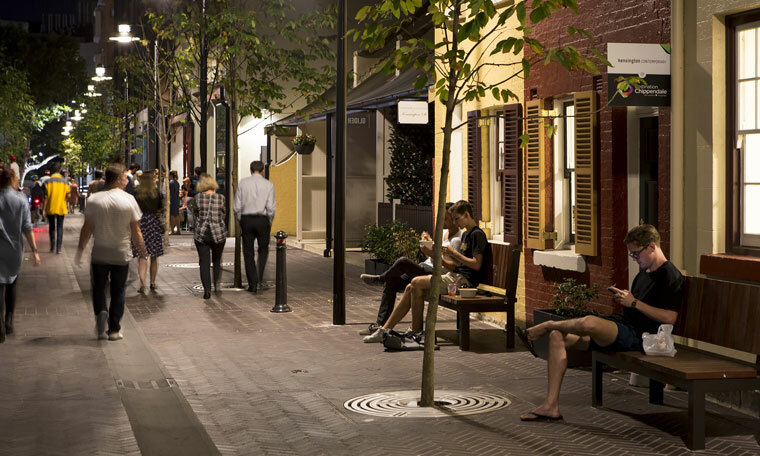 The project has been a decade in the making and the jury said it realised Walter Burley Griffin’s vision of “an elegant and vibrant mixed-use grand boulevard … supported by an integrated transport system, broad tree-lined footpaths and outdoor dining and street parking”. “The design creates an environment that prioritises pedestrians and cyclists followed by public transport then private vehicles,” the jury said. 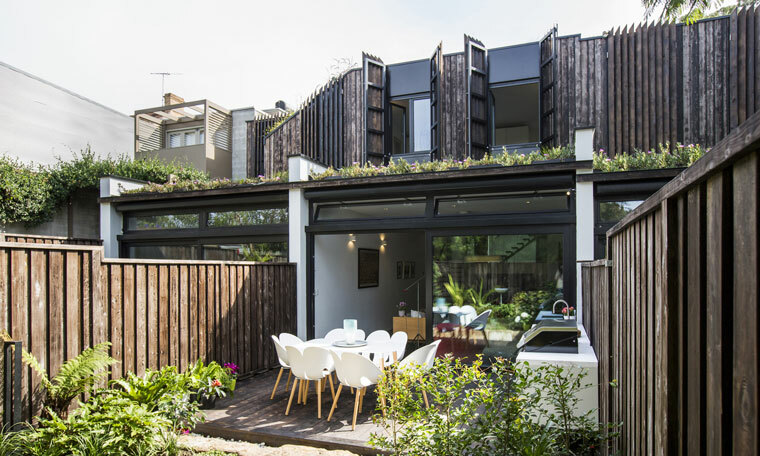 The Derek Wrigley Award for Sustainable Architecture went to Corner House by Joanna Nelson Architect, which also won the ACT Award for Small Project Architecture. 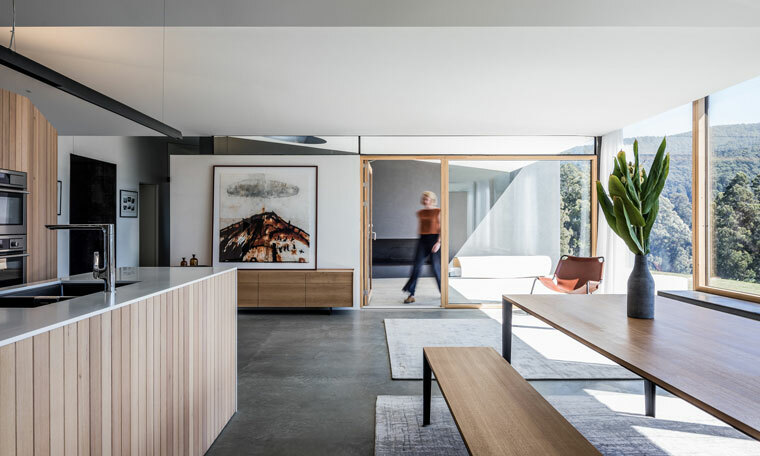 “Corner House represents a creative and intelligent act of sustainable architecture in the context of an inner-suburban Canberra that is undergoing rapid change,” the jury said. The NewActon Nishi development by Fender Katsalidis Architects added to its bag of awards with the Sydney Ancher Award for Residential Architecture – Multiple Housing and an award for commercial architecture. 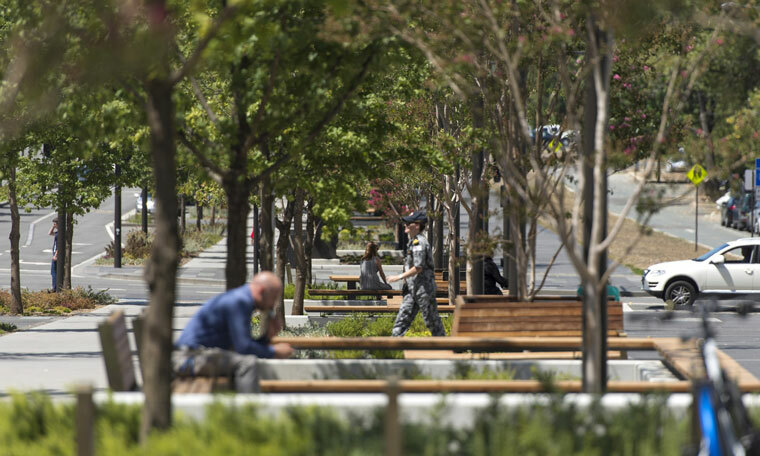 “In an era where housing needs to be denser, more compact, of high quality, and closer to civic centres, Nishi NewActon provides a compelling exemplar,” the jury said. 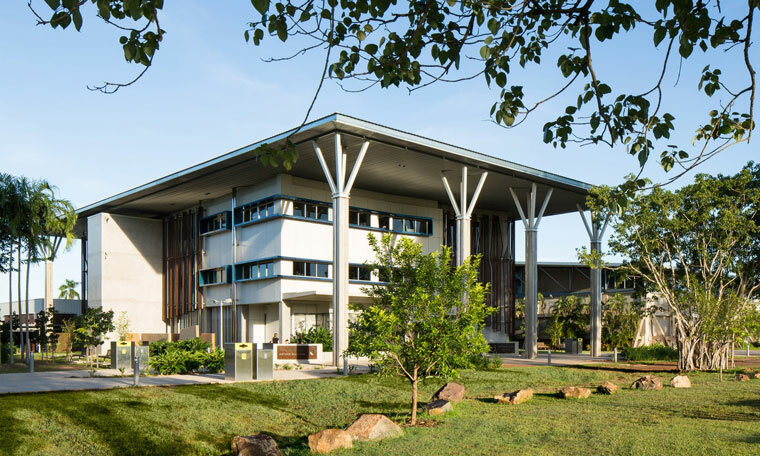 In the top end, Bullocky Point Education Precinct by MODE was the most-awarded project, taking out the top Tracy Memorial Award, along with the Northern Territory Chapter Award for Educational Architecture and an award for interior architecture. 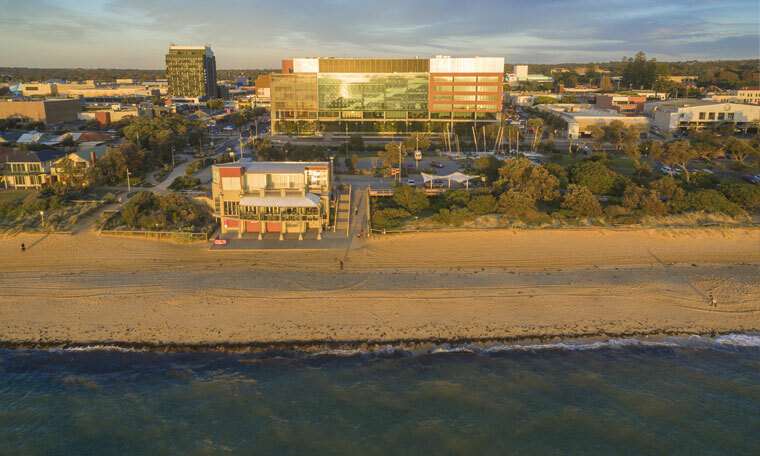 “This building represents excellence in architecture and site planning, respect for context, the best in interpretation of heritage and an outstanding resolution of client requirements for the Darwin High School and Northern Territory School of Distance Education,” the jury said. 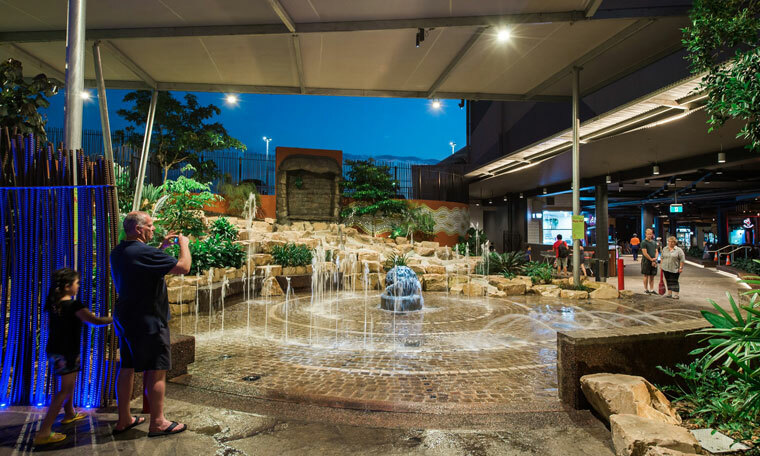 The Thorny Devil (Moloch Horridus) Award for Sustainable Architecture went to Casuarina Square, The Quarter by Altis Architecture Pty Ltd, which also won the Peter Dermoudy Award for Commercial Architecture. Tropology for DHA by Troppo Architects took out the residential architecture – multiple housing. The Harry Marks Award for Sustainable Architecture went to Mt Alvernia College Anthony and La Verna Buildings by m3architecture, which also won the The Jennifer Taylor Award for Educational Architecture. 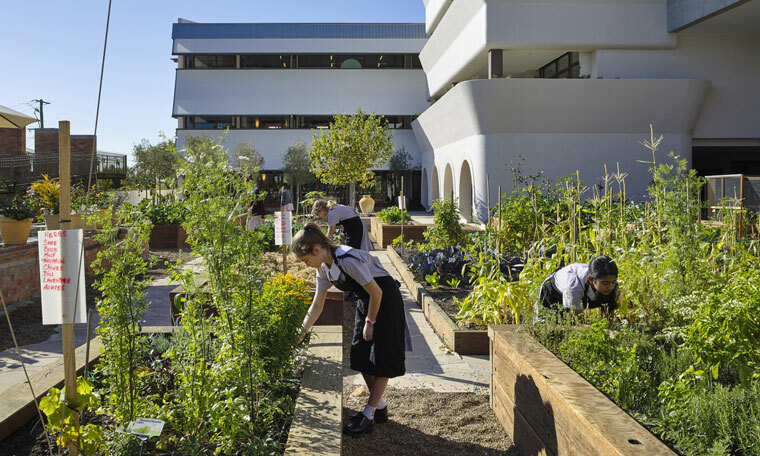 “This exquisitely moving poetic campus design recognises St Francis’ preoccupation [with] flora and fauna, and the importance of relationships between humankind and nature, to manifest a sustainable community with unexpected delight and holistic wellbeing,” the jury said. 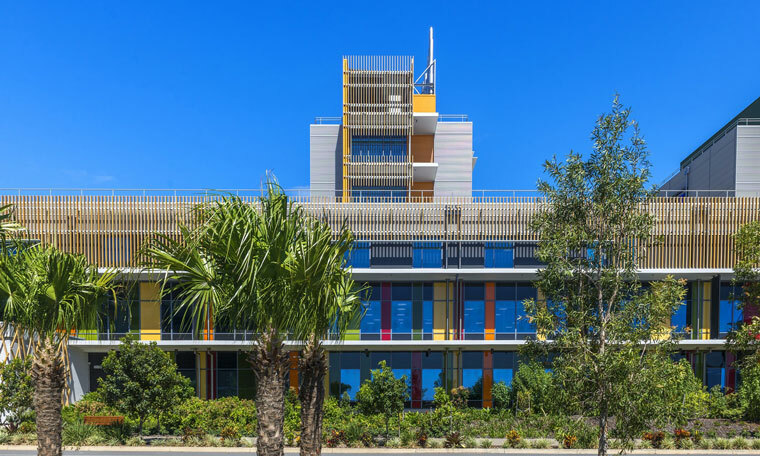 The F D G Stanley Award for Public Architecture went to Sunshine Coast University Hospital by Architectus Brisbane and HDR Rice Daubney as Sunshine Coast Architects, which also won the The Karl Langer Award for Urban Design. The jury called the building “an intelligent and elegant public building that strives for local use and social engagement through the clearly defined provision of green corridors, public outdoor spaces and community infrastructure”. The Beatrice Hutton Award for Commercial Architecture went to 480 Queen Street by BVN, which also won a sustainable architecture award. “Intricately managed engineering solutions and innovative passive design initiatives combine intelligently as a memorable design solution that achieves the highest level of sustainability,” the jury said. There was no named award for sustainability, but Crayon House by Grieve Gillett Andersen received a sustainable architecture award along with The John S Chappel Award for New Houses. 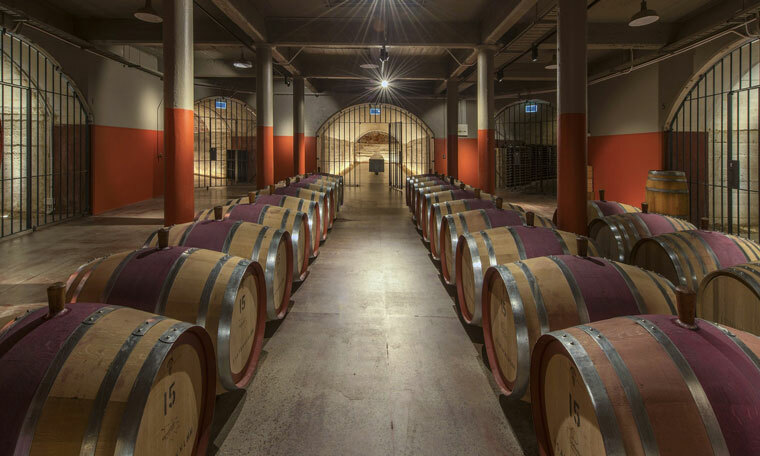 Wineries were well represented, with the most successful Penfolds Magill Estate by Denton Corker Marshall taking out two named awards, the Keith Neighbour Award for Commercial Architecture and the Robert Dickson Award for Interior Architecture. “Part cellar door, part café and part museum, the project is a blend that will undoubtedly achieve what it set out to accomplish – to position the facility as an internationally recognised tourist destination for South Australia,” the jury said. The Anzac Centenary Memorial Walk by Grieve Gillett Andersen won the Gavin Walkley Award for Urban Design as well as the City of Adelaide Prize and the City of Adelaide People’s Choice Award. 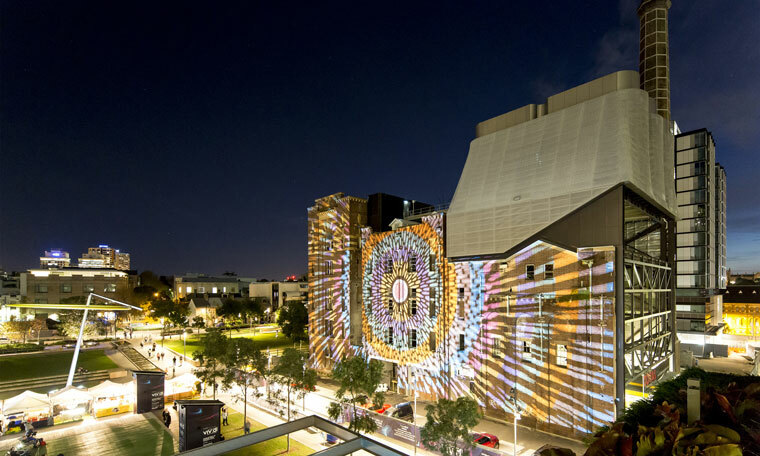 “This seemingly effortless master-stroke of urban design for the City of Adelaide expands beyond the challenging brief to tell the stories of remembrance, service and loyalty while creating a democratic and multifunctional public place for ceremony and contemplation,” the jury said. An education facility took out WA’s top gong, with the George Temple Poole Award going to Willetton Senior High School by HASSELL. 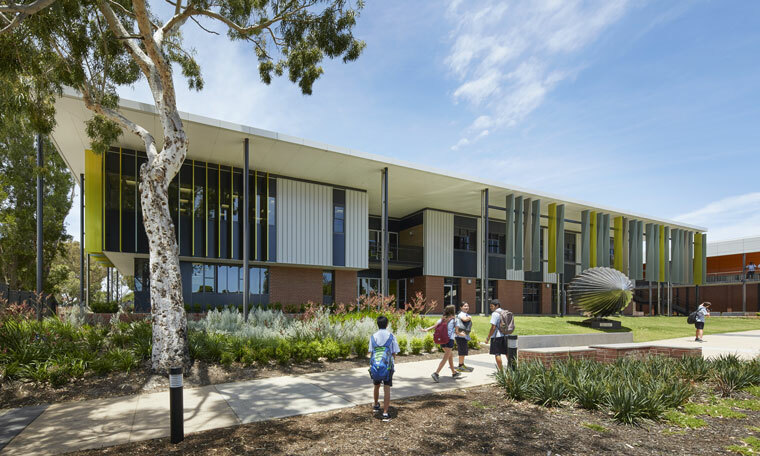 “The Willetton Senior High School project embodies architecture at the service of its community with its ability to enrich the lives of the students, teachers and staff who use the buildings,” the jury said. Again, there was no named award for sustainability by the sustainable architecture award went to the Gen Y Demonstration Housing Project by David Barr Architect. “Advocating the benefits of sustainable design is one of the key responsibilities of the Institute, and the jury was impressed with the project’s ability to reinforce that site area or cost isn’t a barrier for good design, sustainability or amenity,” an AIA statement said. 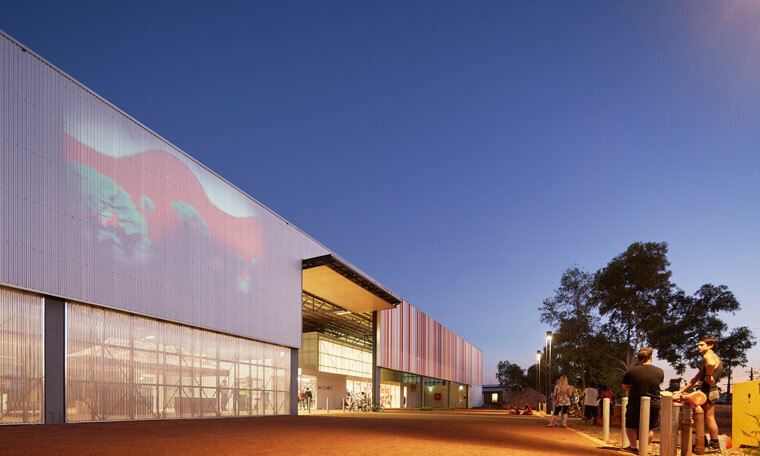 The East Pilbara Arts Centre by Officer Woods Architects won the Jeffery Howlett Award for Public Architecture, the Colorbond Award for Steel Architecture and and a commendation for sustainable architecture.